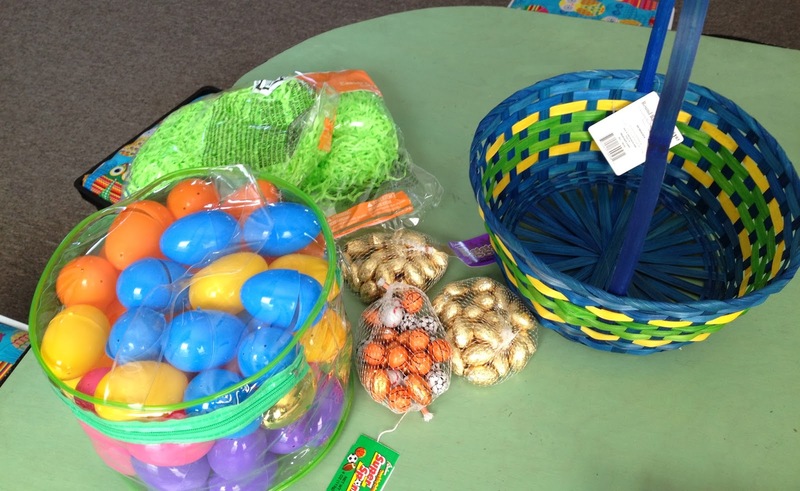 Notice the GIANT bag of eggs and 3 separate bags of chocolate. I don't know why, but I always seem to overbuy for projects! I will have to come up with more ideas for these items. 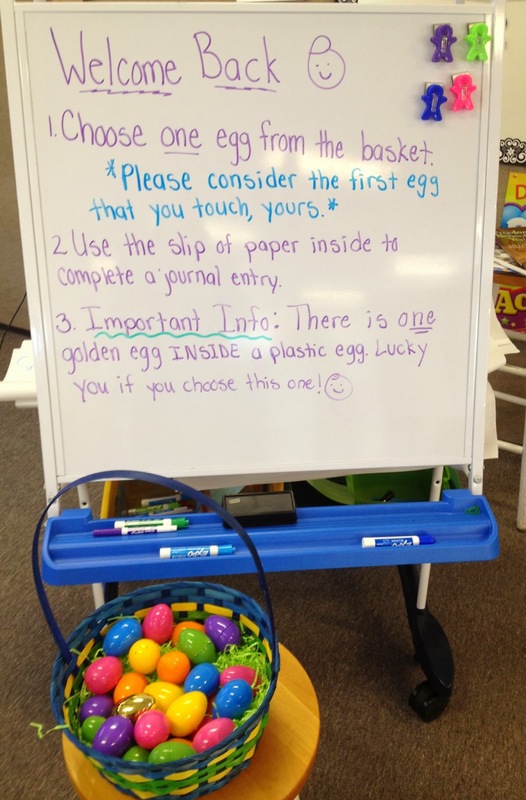 Students come in each day, take an egg from the basket, read the slip of paper inside and respond in their Personal Journals as a "first thing in the morning" exercise. I am also toying with the idea of students sharing their prompt, question, etc. at Morning Meeting. Each slip is a question or a prompt that relates to things we have already learned, but are not necessarily doing day-to-day. 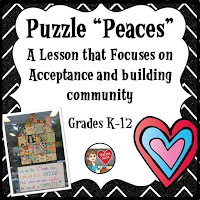 For example, I taught about Alaska at the beginning of the school year. A question on one slip reads is: The Iditarod Race is held every March. What do you think the mushers do to prepare for it ahead of time? What do you think they might do the night before the big race? I have also included math problems, other science and social studies related questions, and writing prompts related to St. Patrick's Day. 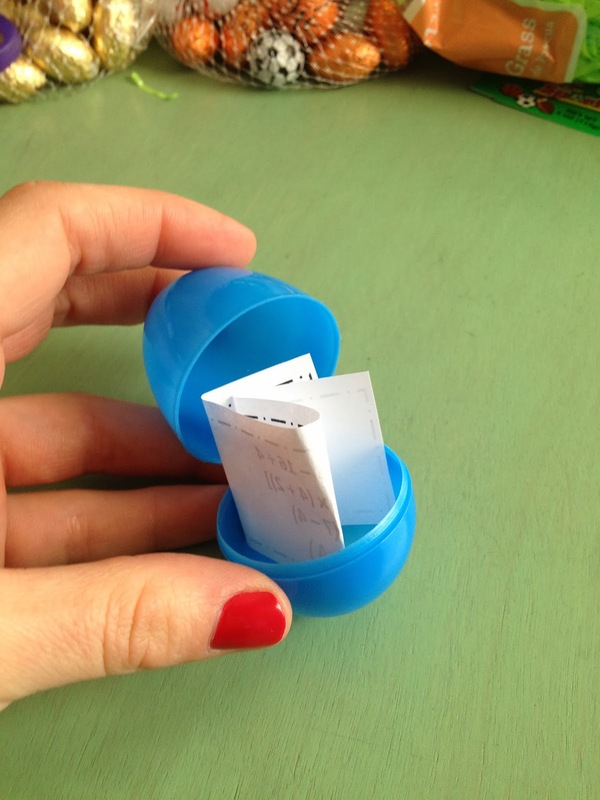 If you have to use workbooks or worksheets at your school, you can always retype them on slips or cut each question out to fit in the egg. Have students go around the room and "put the worksheet back together" and answering them as a group or independently! 1. I worked in PowerPoint to create the slips of paper and wrote all types of questions that came to my mind when thinking back to what was learned so far this school year. I cut each out and placed inside of an egg. 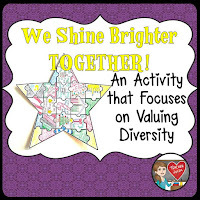 Math questions, writing prompts, read aloud responses, and short response science and social studies related questions. 2. 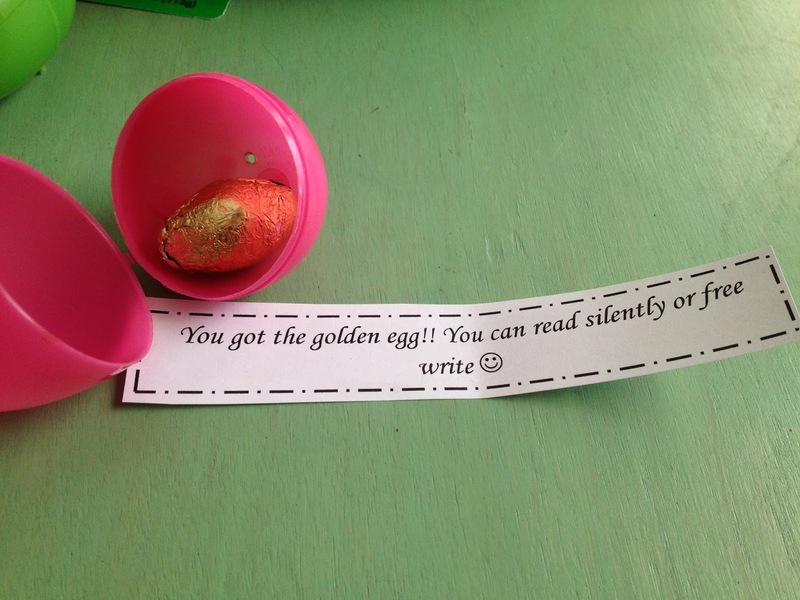 One egg has a slip that allows the student to free write or read and, of course, there is a chocolate "golden" egg for later in the day. Be sure to remind students that the first egg they touch is theirs! No shaking and handling before choosing an egg. 3. I placed all of the eggs in the basket at the front of the room and wrote my morning message on the board. I hope they enjoy this! 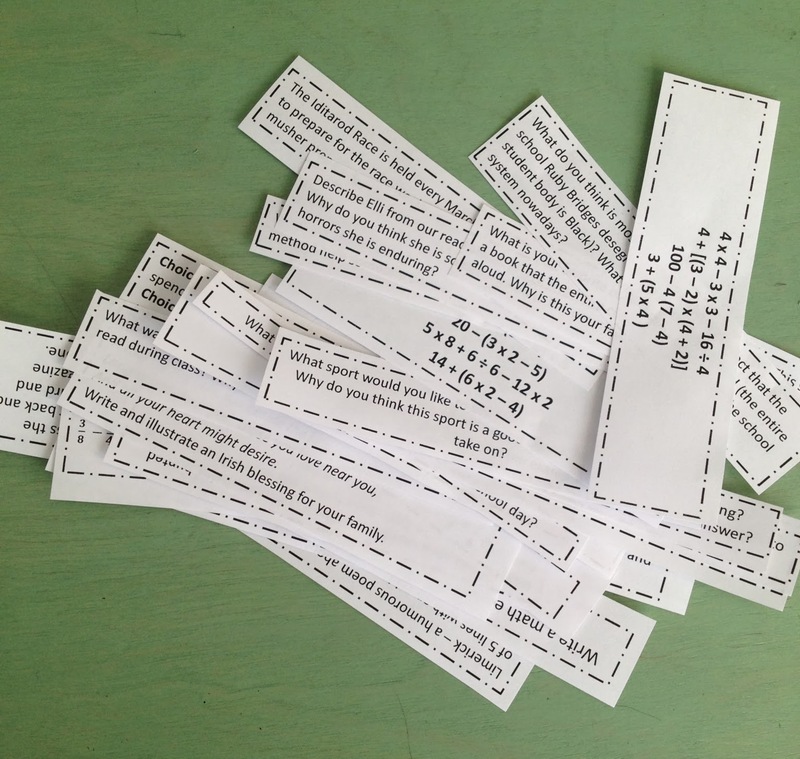 I needed a fun and engaging way to remind my students of important things that they learned. Rather than doing a worksheet or quiz of some sort, I thought this would be much more engaging and fun! So adorable! I love this idea! How do you check each student answer? I've discovered some students pretend to answer questions. It's the early morning exercise to get us started so I don't want to spend too much time. Hi! I go over the answers in Morning Meeting, but don't have time for everyone. They know that I am randomly choosing who will share, so they need to be prepared. If they are unsure of an answer, we go over it together as a class. I hope this helps!